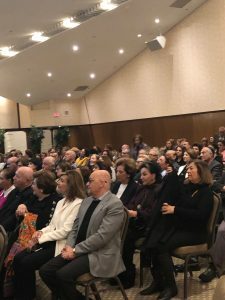 On Wednesday, January 30, approximately 200 people joined us for Growing Up Jewish in Iran. 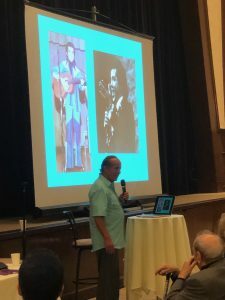 In conversation with Cantor Marcus Feldman, Hazzan Farid Dardashti discussed his Jewish identity and his one-of-a-kind journey to becoming a cantor. Hazzan Dardashti’s path was anything but ordinary. 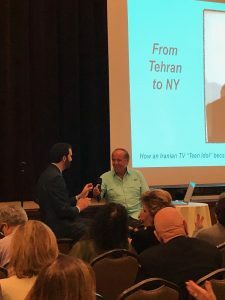 He grew up in Iran wanting to become an architect, got picked up for a couple of years as a TV Star and, finally, ended up studying music and becoming a cantor in the United States. All proof that there is no single “face” of Judaism! Over the past thirty years, Hazzan Dardashti has established himself as both a distinguished cantor and a popular concert artist, bridging the worlds of East and West with international Jewish music, folk music, and a classical Broadway/pop repertoire. For more information on Sinai Temple programming like this, please contact Rebeka Small at rsmall@sinaitemple.org.